Growing up, I spent my summers in South America visiting family and I think that’s when I got hooked on travel. 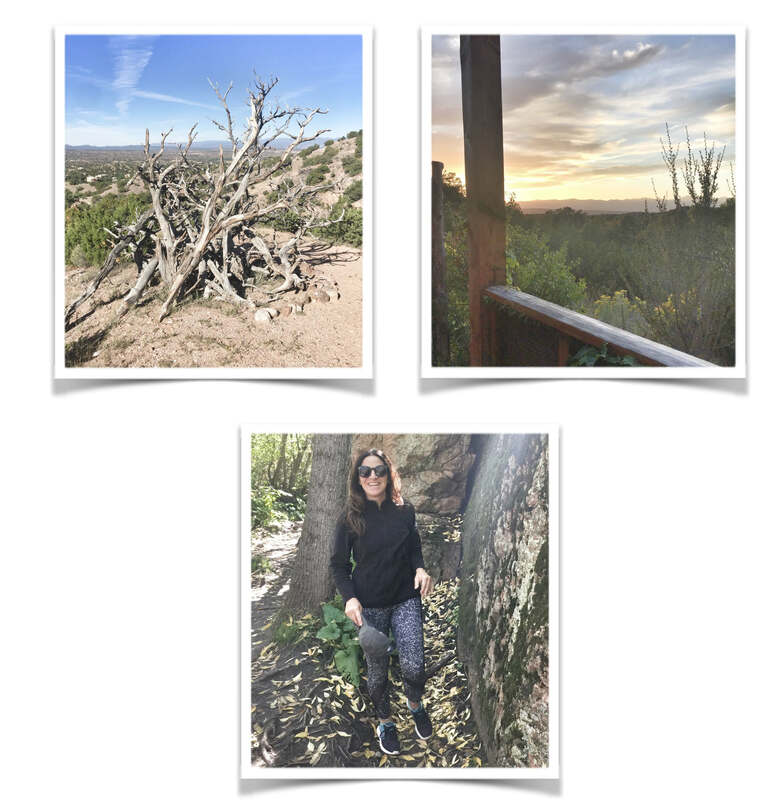 A recent trip to Santa Fe, New Mexico reminded me that exploring new places, returning to old favorites and immersing myself in other cultures is a must for me. I remember people telling me, travel, travel, travel before settling down and having a family. “How hard can it be to travel once you have kids?” I’d say to myself. Well, needless to say, now that I’m a mom, and have a career, I “get it”. It isn’t easy juggling everything and there’s always more to do than there is time for. Getaways are less frequent than they used to be so now when I do get to go, I try my hardest to be present and take in as much as possible. I’m also working on how to make the post- vacation glow last a bit longer (reliving my experience in a blog post is one way!). My last trip to Santa Fe was a girls trip about a decade ago and I truly forgot how beautiful and magical it is – maybe it was all the cocktails. 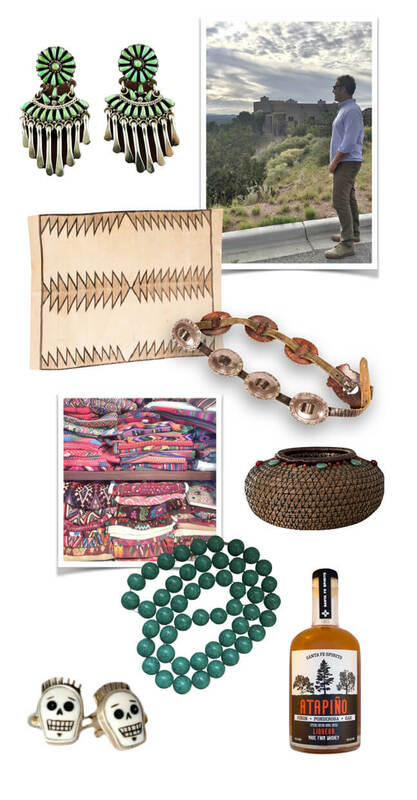 I think Santa Fe is a perfect destination for a vacation, it has all of the perks of being a city—great shopping, delicious food, culture and history – while also offering a gorgeous natural environment. I love exercising while on vacation for lots of reasons, one it can be hard to work into my daily routine at home and two it offsets the constant eating we seem to do :). I’d much rather do something that gives me a chance to explore the place I’m visiting than hole myself up in the gym and, with that in mind, we went on daily 2 hour hikes in the Sangre de Cristo mountains. The sunsets were breathtaking. I thought maybe they looked extra beautiful simply because I was on vacation, but there’s actually a scientific reason behind those intense red and orange New Mexico sunsets – cleaner air, and lots of refractive particulate in the air (what does that mean ?!). CASUAL – Telecote for amazing brunch and delicious blue corn pancakes, Santa Fe Bite for it’s famous green chile cheeseburger and Kakawa Chocolates for the best hot chocolate anywhere. TAKE IT UP A NOTCH – Joseph’s was my favorite cozy and delicious dinner spot, Geronimo is perfect for a fancy date night, Eloisa for eclectic Southwestern food in a modern setting, the Compound is outstanding for lunch or dinner with delicious burgers among other things and Santacafe is great for lunch on the patio and amazing Bloody Marys.